Hybrid bikes are more renowned as utilitarian commuting machines, designed for longevity and practicality over performance. 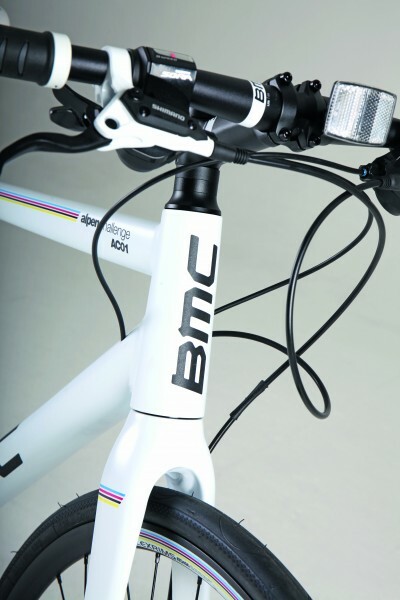 But the BMC Alpenchallenge defies expectations with fast ride that will certainly speed up your daily commute. Most people would balk at buying a fully-fledged, aluminium-framed drop-bar bike kitted out with Shimano Sora for £1,000, never mind a hybrid. But then, this isn’t any old hybrid. 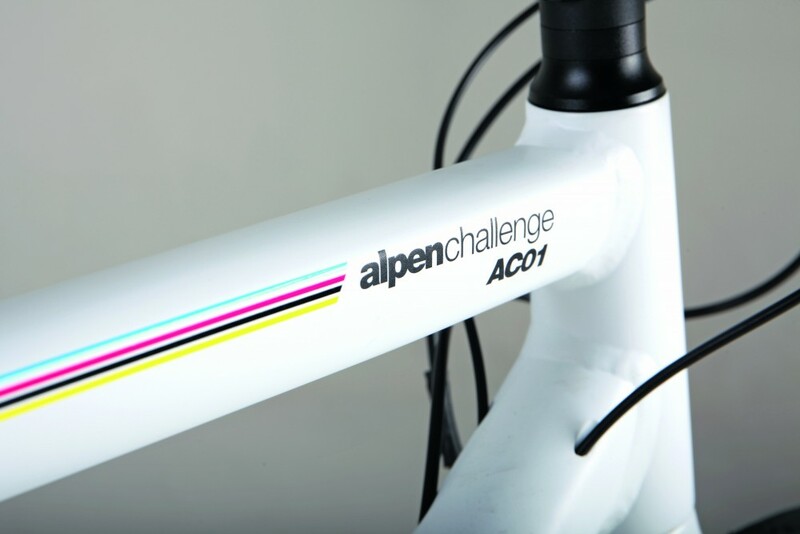 When the Swiss boffins sat down to design the new BMC Alpenchallenge they wanted it to be faster than anybody could ever expect an urban flat-barred bike to be. And, by holey cheese, did they succeed. This thing goes like the wind. It’s so quick that any unreconstructed roadies will be champing at the bit to stick a pair of drop bars on it and see what it can really do. 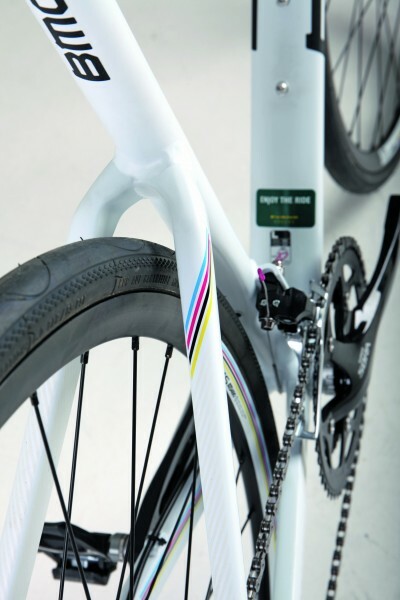 The position is great, your hands seem to sit somewhere between hoods and drops on a normal road bike, but what really impresses is the strength of the frame. You can get absolutely every fraction of a watt of power onto the road. Helping achieve that is the Shimano Sora groupset. It’s nothing special by road bike standards but it’s pretty plush for a hybrid, and the combination of compact chainset and 11-32t cassette means you can really get this baby up to speed. The 32c Continental tyres also help scythe through the urban landscape, however, they are next to no good off asphalt. In fact, the whole bike fairs poorly off road. We subjected the Alpenchallenge to a small session of very tame off-road, where a combination of high speed and low traction had the back end of the bike sliding out. Normally, that would be a bad thing, but in this case it showed up how beautifully balanced and controllable the BMC remains, even in times of difficulty. And while the super-stiff frame crashes over big trail bumps, it deals with minor road imperfections pretty well. But then, despite the flat bars, this isn’t a mountain bike. This is a very finely honed, flat-barred road bike. It might be a little expensive, it might be a tad under-specified, but the BMC Alpenchallenge is just about the most exciting machine you could use for the daily commute. Two things make the BMC Alpenchallenge special: its unique design and the incredible ride. It might not be as utilitarian as most utility bikes, but it's refined, controllable, and very fast.